When getting into a business partnership, signing a professionally drafted partnership agreement is essential. A partnership agreement will safeguard the interests of all the partners. To make it easy, we have a wide range of ready to use partnership agreement forms to you to choose from. These Agreement Forms are easy to download, can be edited and are also available in a wide range of formats. They are also printer-friendly or can be emailed. The partnership dissolution agreement is available in PDF format. Details of the dissolution of the partnership firm, signatures of the partners and other information can be added to this form. You may also see Partnership Agreement Forms. The partnership buyout agreement form is available in PDF format. Details of the partnership purchase agreement, witness signatures, signatures of the partners, date of the purchase and other information can be added to this form. 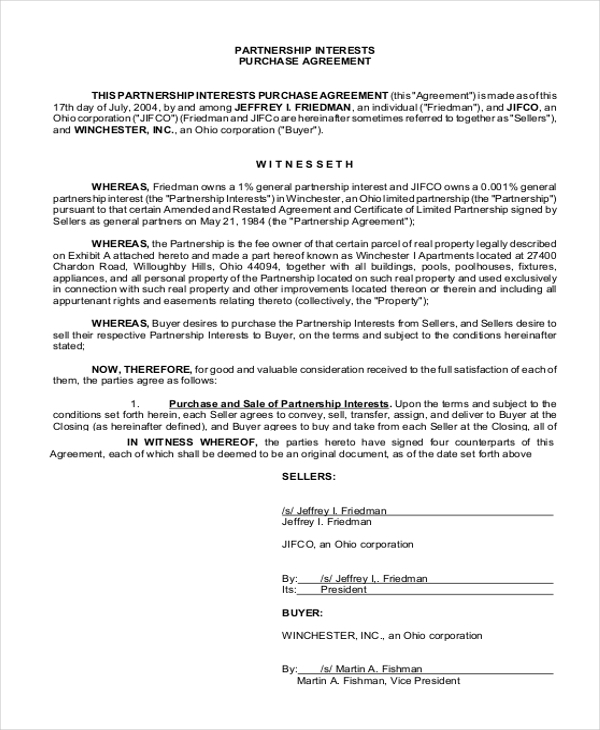 The partnership buy/sell agreement form has space for the user to fill in details of the witnesses, information of the parties that the agreement is in between and other relevant data. This form is available in PDF format. 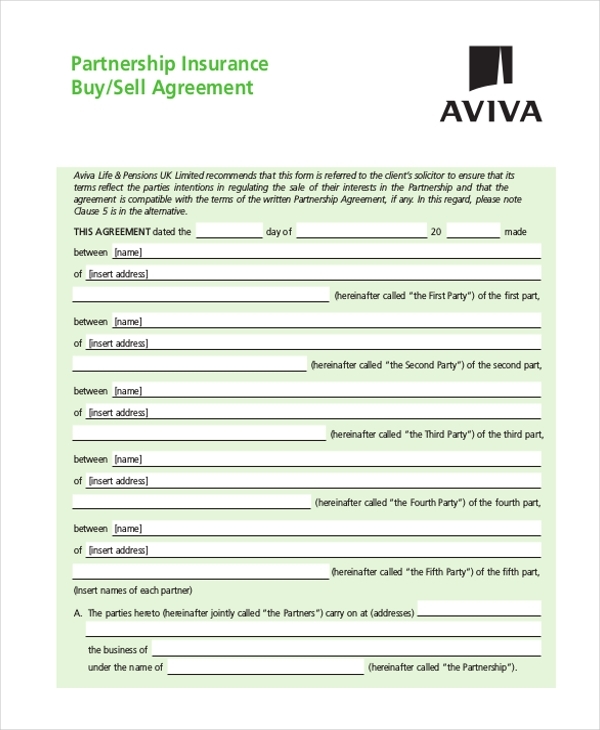 You can also see Buy-Sell Agreement Forms. The partnership interest purchase agreement has details of the purchase and sale of partnership interests, consideration, seller’s representations and warranties and other important information. This template is available in PDF format. The partnership loan agreement form is available in Word format. This agreement has details of the terms of the loan, purpose of the loan repayment terms and other important information. The partnership agreement short form is available in Word format. The partnership firm’s logo, details of the business, information of the partners, details of prohibited acts, profits, and losses and other important information can be added to this agreement. You may also see Non-Disclosure Agreement Forms. 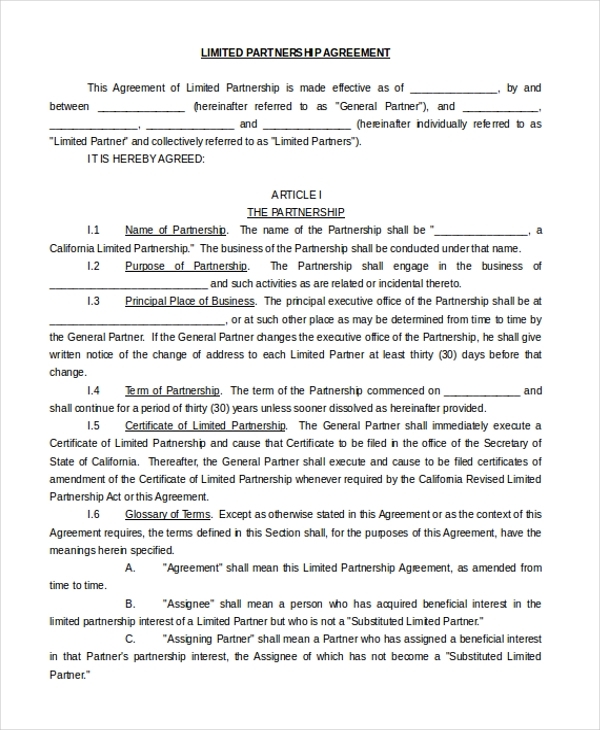 The limited partnership agreement is available in Word format. People looking to get into a limited partnership agreement will find this template very handy and useful. Details of the partners, terms of the partnership and other important data can be added to this template. 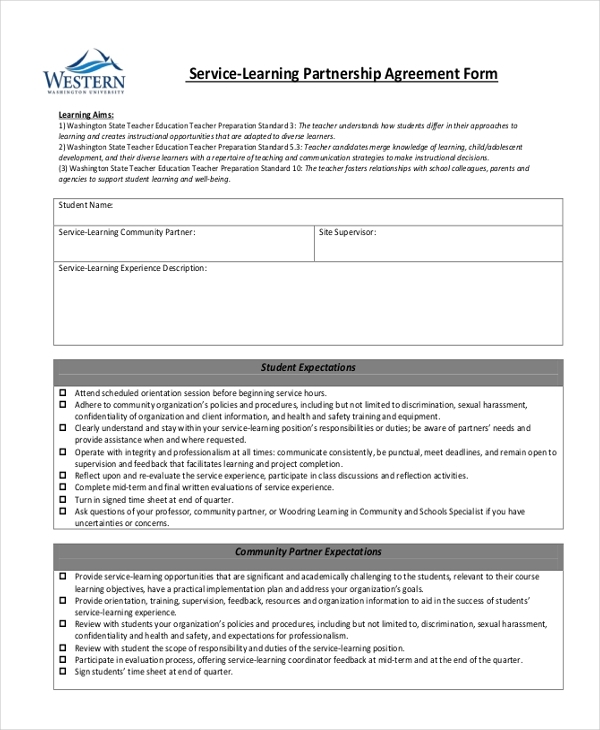 Universities and colleges can use the service learning partnership agreement form. Details of the student, student expectations, community partner expectations and other important information can be added to this agreement. This form is available in PDF format. The trainee partnership agreement is available in Word format. 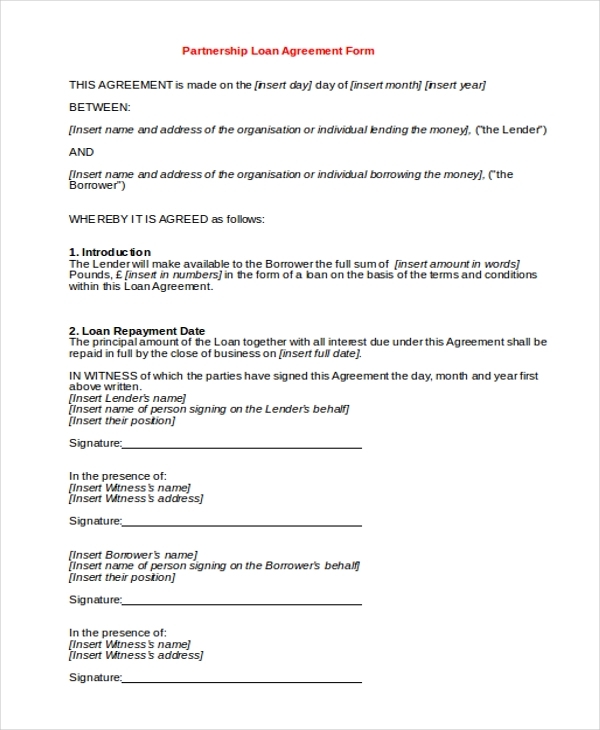 The agreement is easily editable and is also easy to download. The user can add any additional details that he may require to. Who Is The Target Audience For The Partnership Agreement Forms? Individuals who are looking to get into a partnership of any kind will find the partnership agreement forms extremely handy. Even already existing partners who are looking to dissolve their partnership firms will find an agreement in this list to choose from. Partners looking to get a loan for their firm can use the partnership agreement forms to state the terms of the loan repayment. Typically, business partners, legal partners, trainee partners, service learning partners, universities, educational institutions, individuals purchasing a partnership and various other individuals and organizations can use these partnership forms. 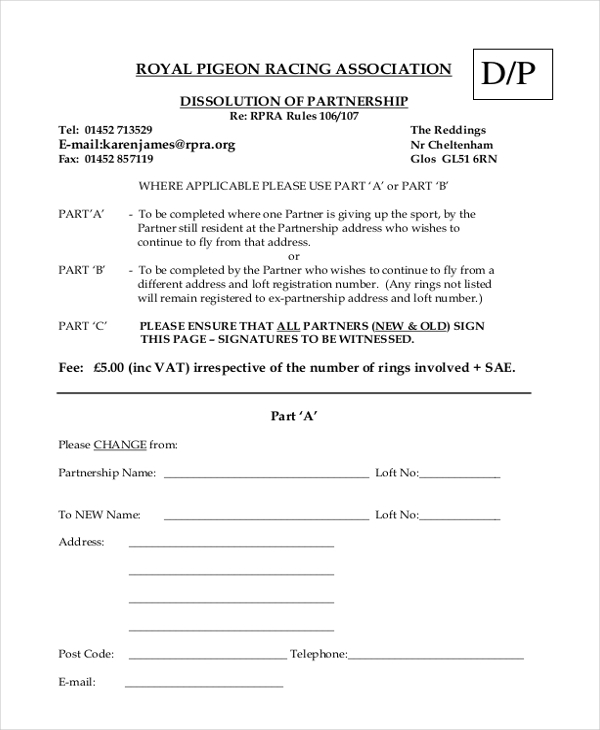 So, if you’re looking to get into a business partnership with a friend or acquaintance these forms are ideal for you. 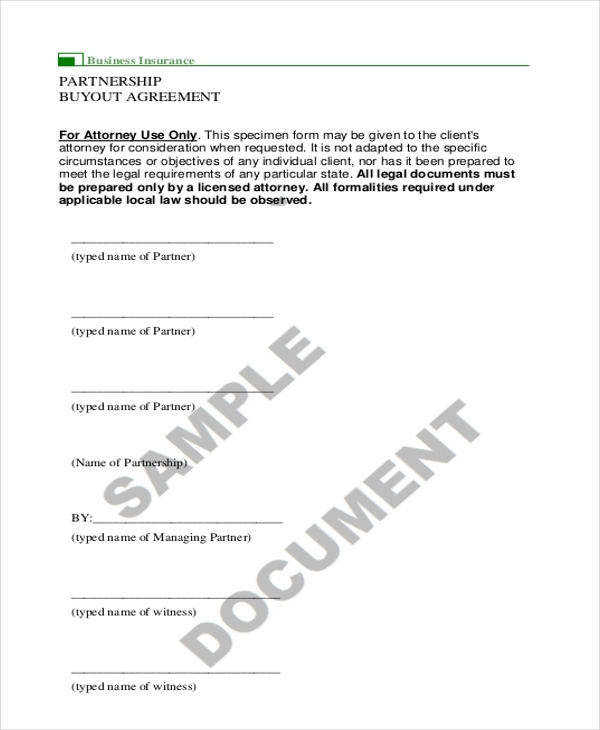 You may also see Business Partnership Agreement Forms. What Are The Benefits Of The Partnership Agreement Forms? The partnership agreement forms are beneficial for multiple reasons. First and foremost these forms are absolutely free of cost. The user need not spend large sums of money on hiring a professional or lawyer to draft the agreement from scratch. These forms are also beneficial because they are easily editable and can be used and re-used as per the requirements of the user. Lastly, these forms are available in convenient and universally accepted formats. They can be accessed from smartphones and tablets and most operating systems of computers, making them extremely beneficial and handy to users.You can also see Loan Agreement Forms. So, if you’re looking to enter into a partnership, you should consider getting one of the above-mentioned partnership forms. Select one that best fit your requirement download it, edit it and keep it ready for signing. You can also email these agreement forms. We guarantee that you will find these forms extremely handy and useful.